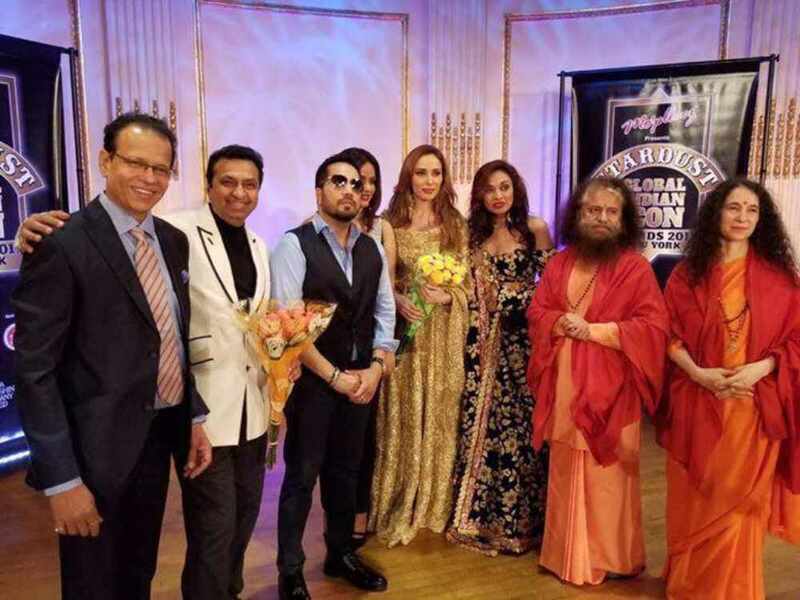 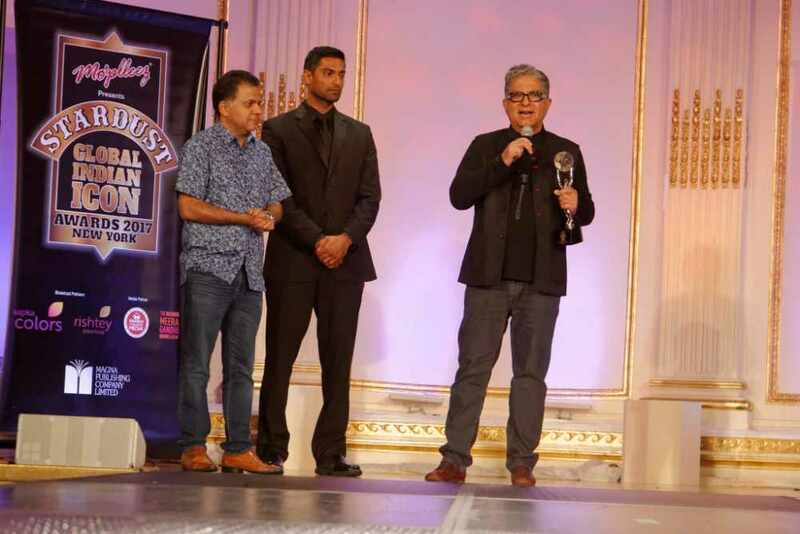 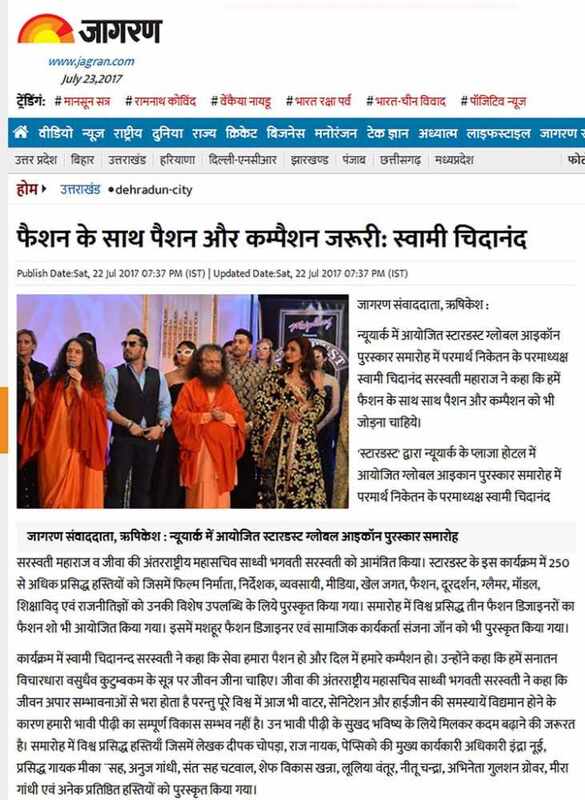 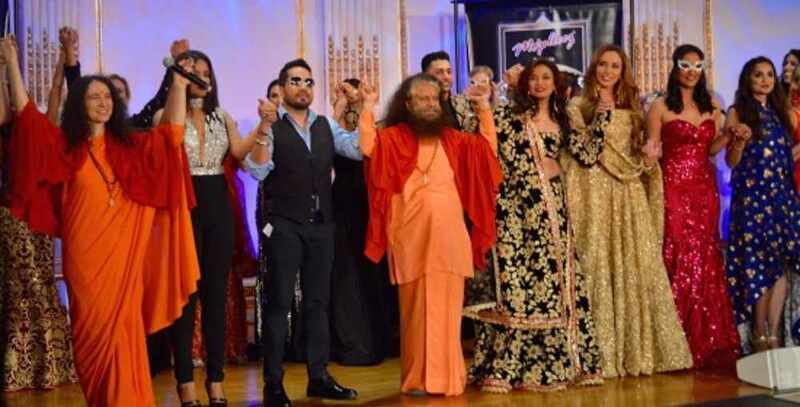 Pujya Swami Chidanand Saraswatiji, Founder of DSF, and Sadhvi Bhagawati Saraswatiji, President of DSF, were invited to bless and grace the Stardust Global Icon Award Ceremony at the Plaza Hotel in New York. 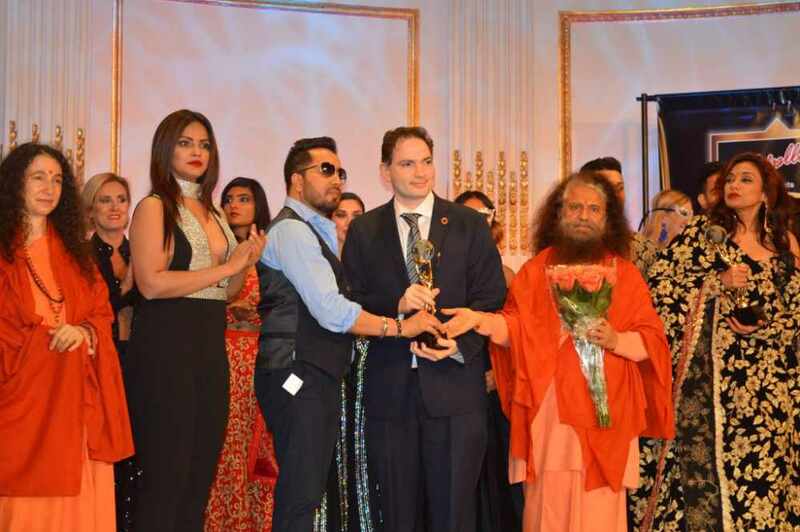 This year the awards show was also held in support of the Save the Girl Child campaign: Beti Bachao Beti Padhao, a social campaign that aims to generate awareness and improve the efficiency of welfare services intended for girls. 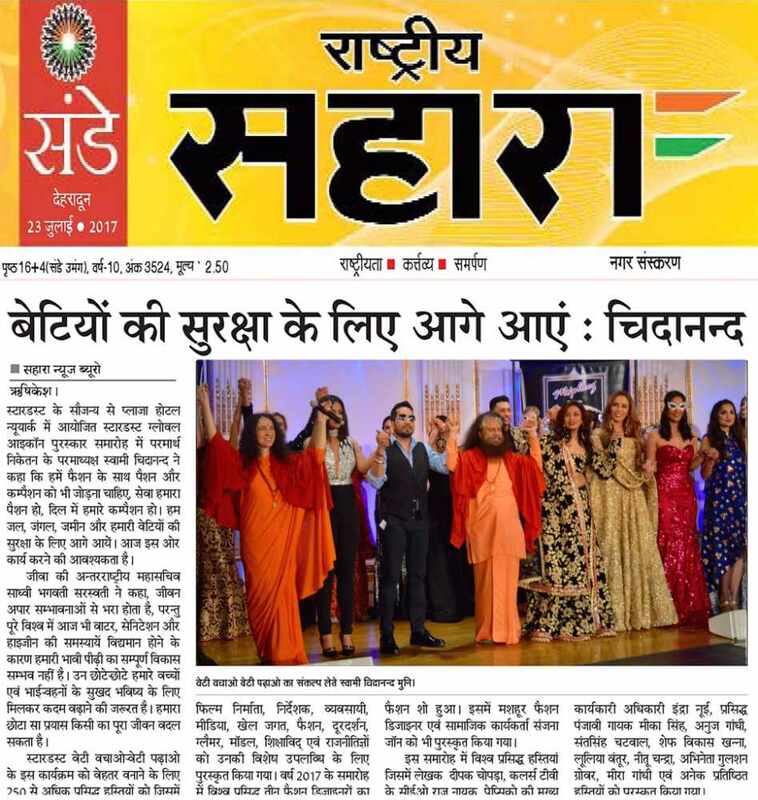 Launched by Hon’ble Prime Minister of India, Shri Narendra Modiji in 2015, the campaign focuses on eradication of female foeticide in India. 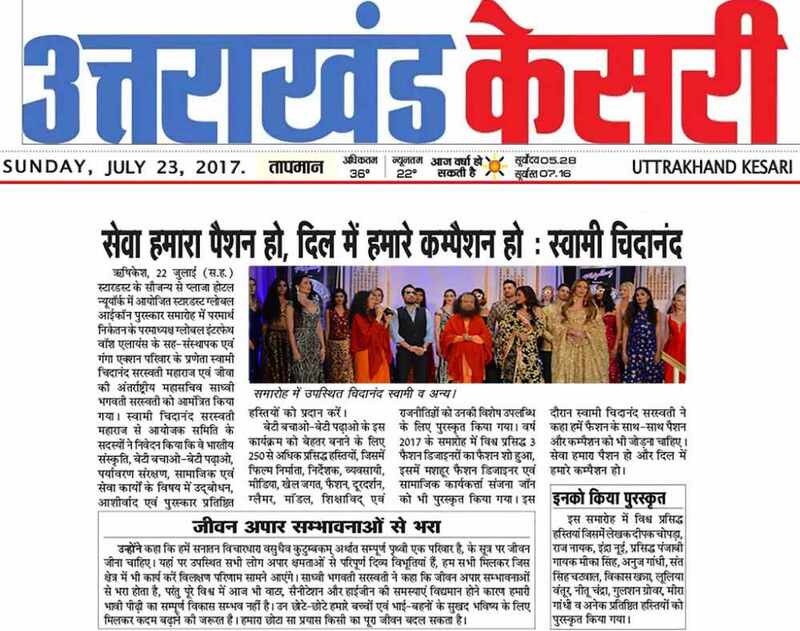 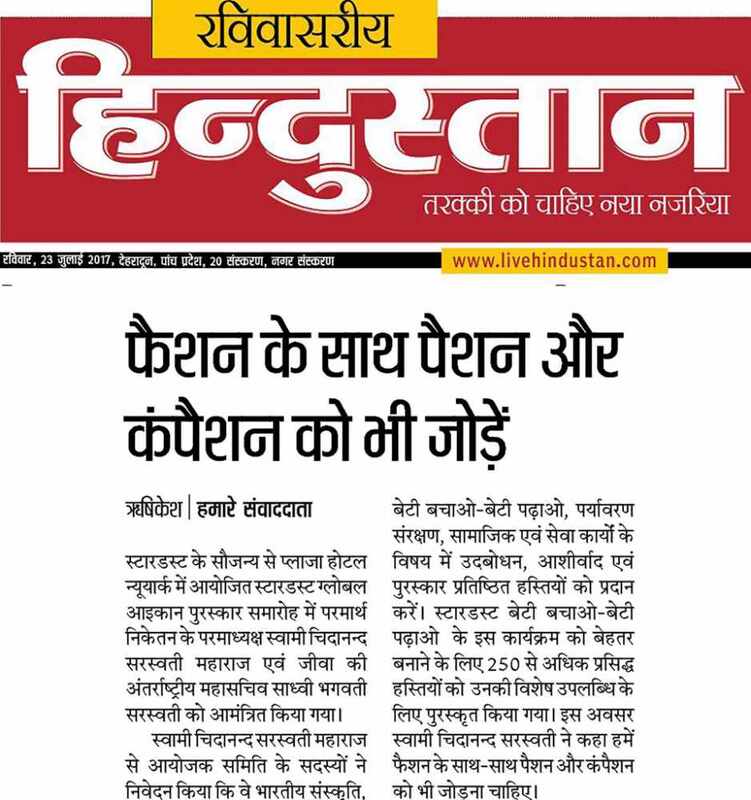 Ministry of Women and Child Development, headed by Smt Maneka Gandhiji in effect began and developed this movement. 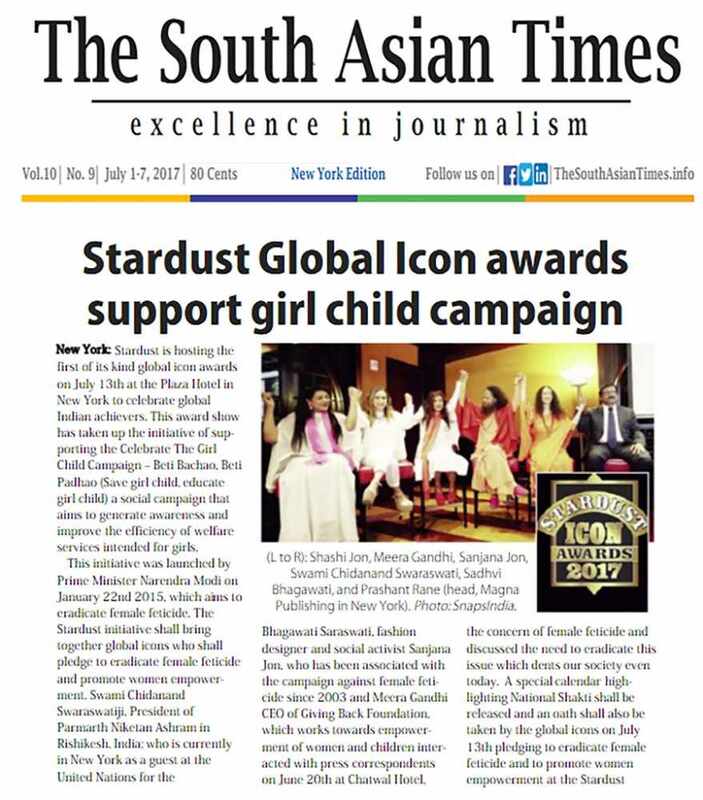 Plans to launch a special calendar highlighting prominent female personalities from various professions including acting, music, healthcare, education, fashion and others is also underway to increase awareness on this issue. 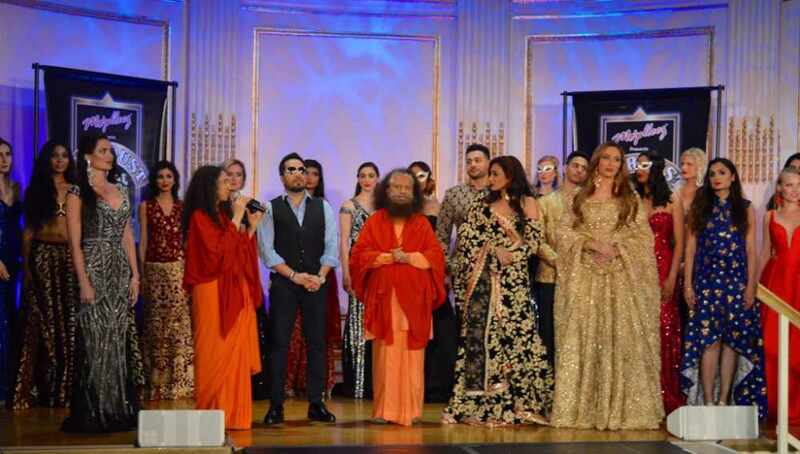 Sadhvi Bhagawatiji said, “The time has come for fashion, passion and compassion to join together to protect all forms of the divine feminine and divine Shakti whether in the form of the girl child or in the form of Mother Earth and Mother Nature because fashion to me is not merely about what you wear but really about who you are.